Bryan and Holly got together to talk about the mysteries of the balance of the Force and the prophecy of the Chosen One. How has their perception of the prophecy and the concept changed over the years? How has The Last Jedi and Mortis altered that perception? Strap in for an esoteric Star Wars conversation. 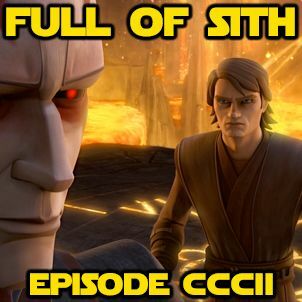 If you haven’t already, join our new Facebook group and join in the discussions with us and other listeners at – http://facebook.com/groups/FullofSith If you like the show, please leave us ... Más informaciones iTunes/Stitcher reviews and share us with your friends and family! We’d greatly appreciate it.